Every year for the Humber West Hobby Show, the Cubs are asked to design the crest. 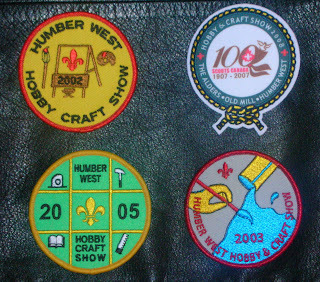 I've included some examples of crests from previous years. The centennial year crest was special and used more colours. Wow, those are great! We don't have an awful lot of opportunity for badge design down this way.